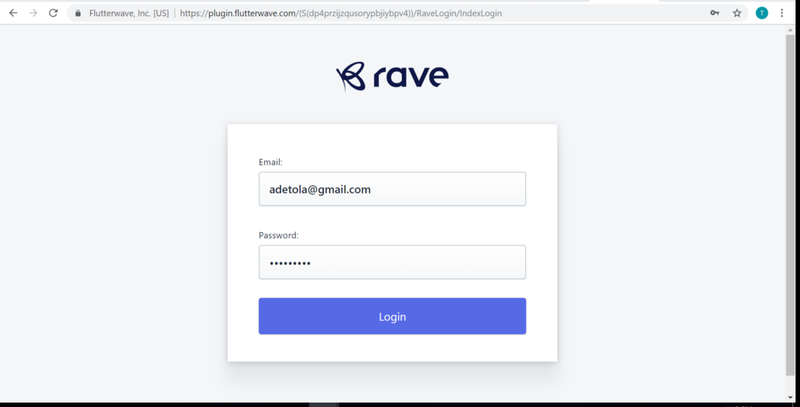 Rave provides online payment services where individuals and enterprises can receive and disburse payment in a seamless and easy way. 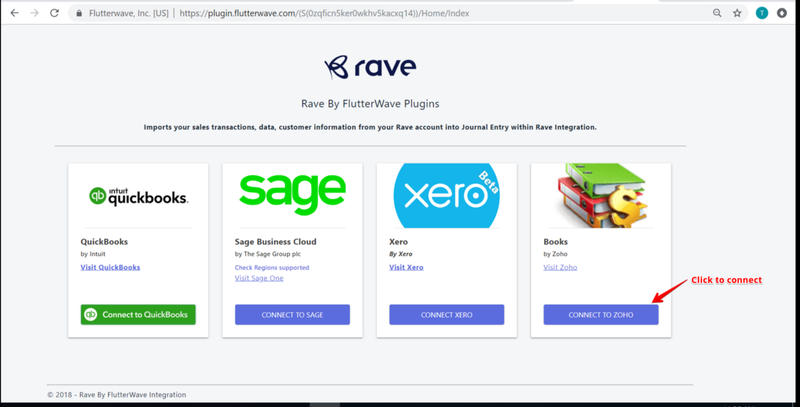 Rave + Zoho Books integration enables a merchant to track their sales and consolidated payments they receive on a daily basis. 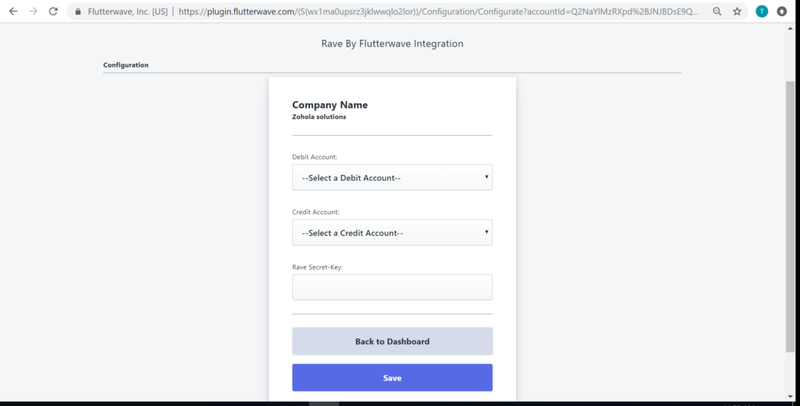 Rave + Zoho Books integration gives merchants access to easy cash flow reconciliation of marketplaces transactions all at a glance. Get accurate and efficient balancing of accounts with a reduced deficit on all accounts statements. 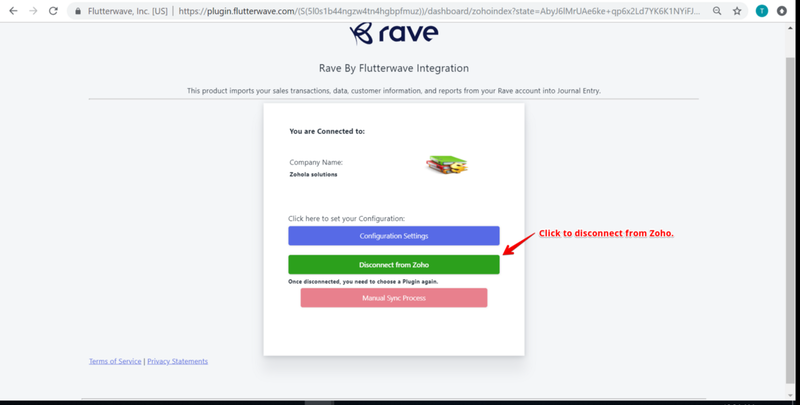 Step 1: After clicking“GET STARTED”, the next page navigates you to Rave log in page. 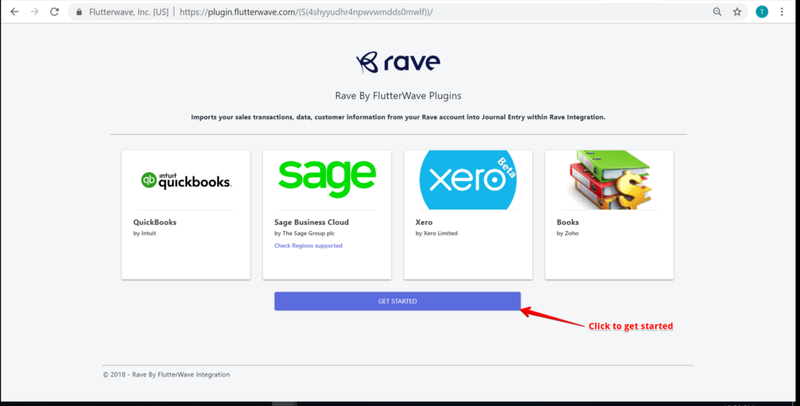 You will be asked to enter your Rave credentials to connect Zoho Books. 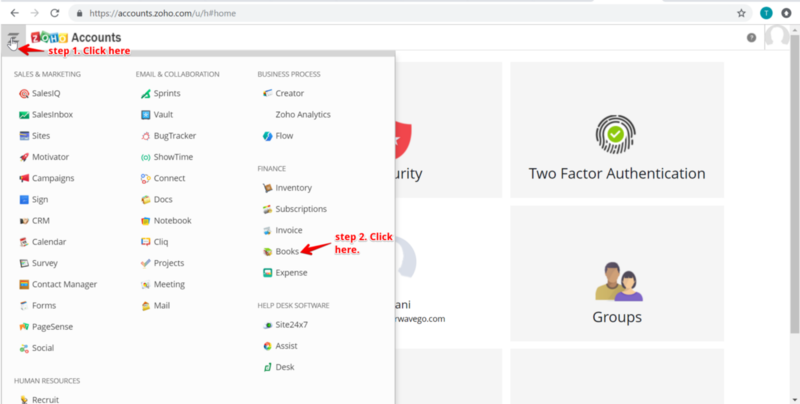 Step 2: Click on“Connect to Zoho” to connect Zoho Books. Step 5: Select appropriate credit and debit account to track fees and sales and save. Click on“Back to Dashboard” to return. 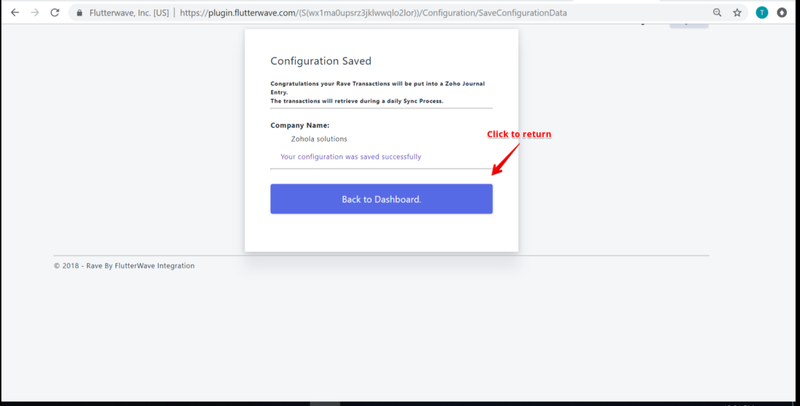 Step 6: Click“Back to Dashboard to return. 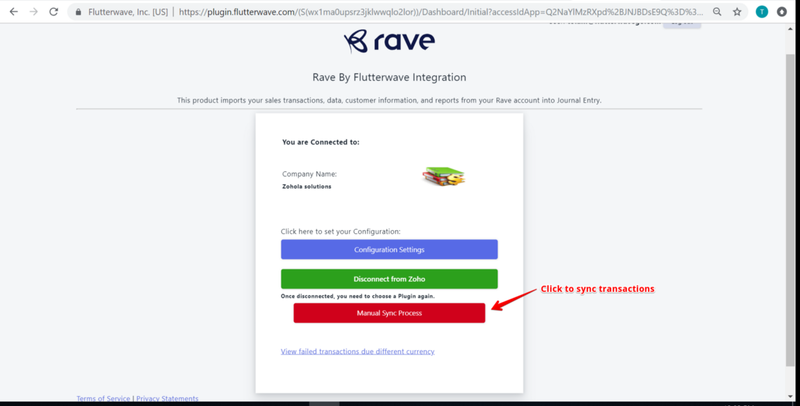 Step 7: Click on“Manual Sync” to sync Rave transactions on Zoho Books. 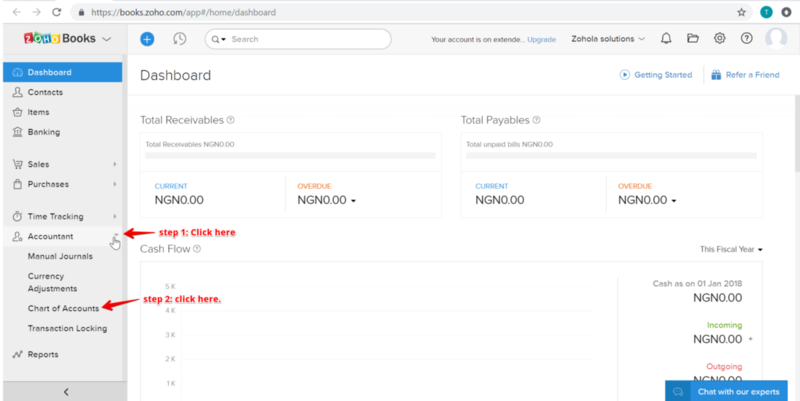 How do I navigate to Chart of account section from my Zoho Dashboard? The next page navigates you to page shown in the image below. Chart of account can be gotten thus: Accountant > Chart of Accounts. 2. 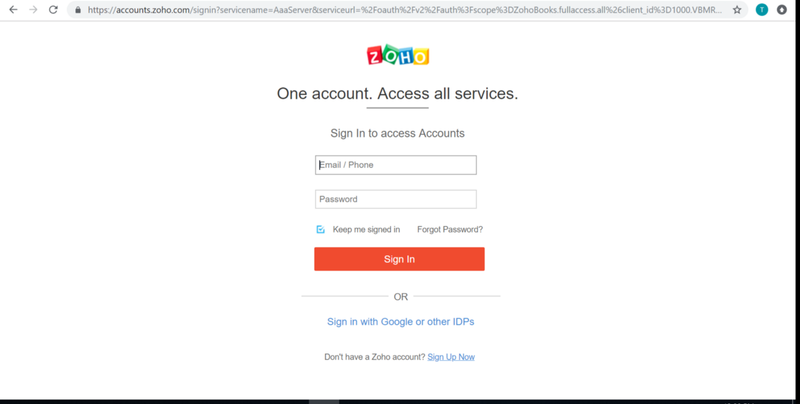 How do I navigate to the integration and disconnect Zoho Books? 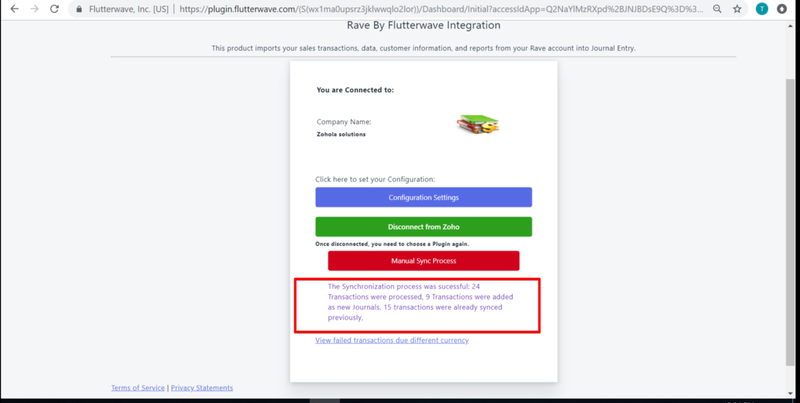 On Zoho plugin configuration page, select“Disconnect from Zoho”. 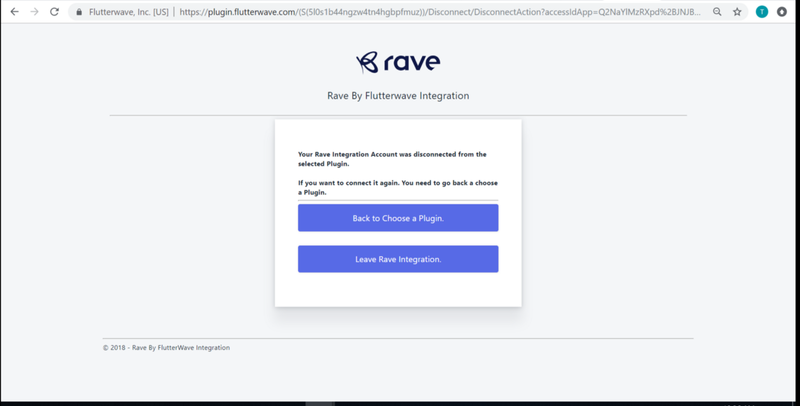 On the next page, select“Back to choose a Plugin” or“Leave Rave Integration” to conclude. 3. When and how does data sync occur? Data sync occurs when“Manual sync process” button is clicked at the configuration settings page to obtain real-time data. It also occurs automatically at 12:00 am daily. 4. Are there any settings related to synchronizing? 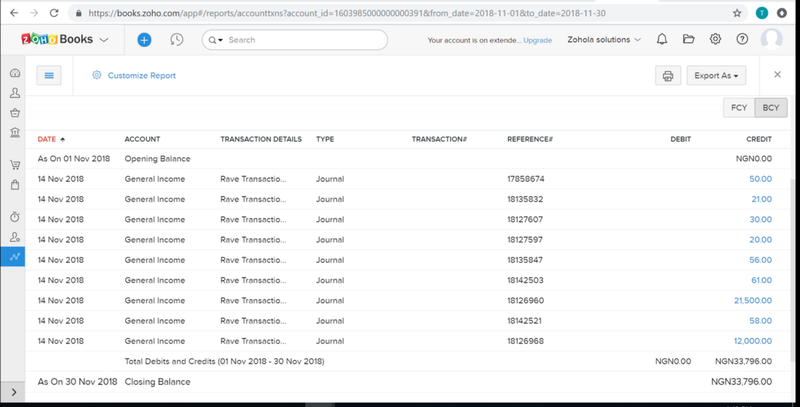 For successful synchronizing, the home currency for rave transactions must be the same as that on Zoho Books account. 5. Is data sync manual, automatic, on login, in real-time? Data sync is manual, automatic and occurs at real-time when the button is clicked. Automatic sync occurs irrespective of the login status of a user. 6. When does data Sync process fail? 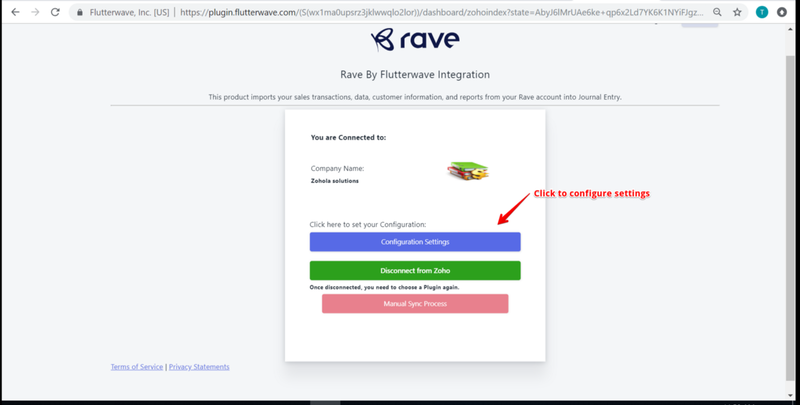 Data sync fails when home currency on Rave and Zoho Books are not concurrent. 7. 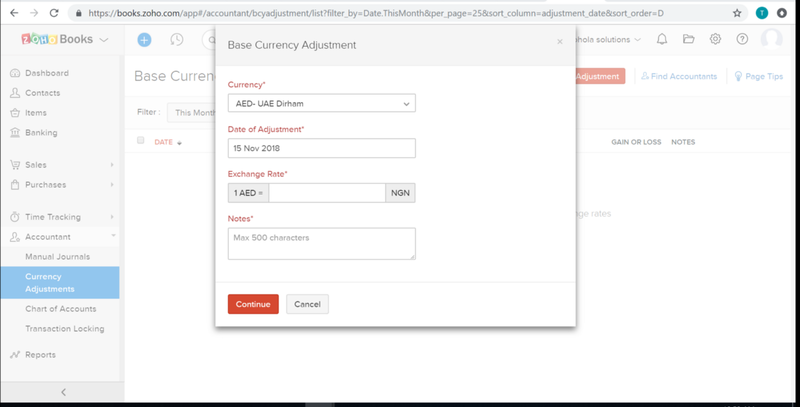 How do I Adjust currency on Zoho Books? 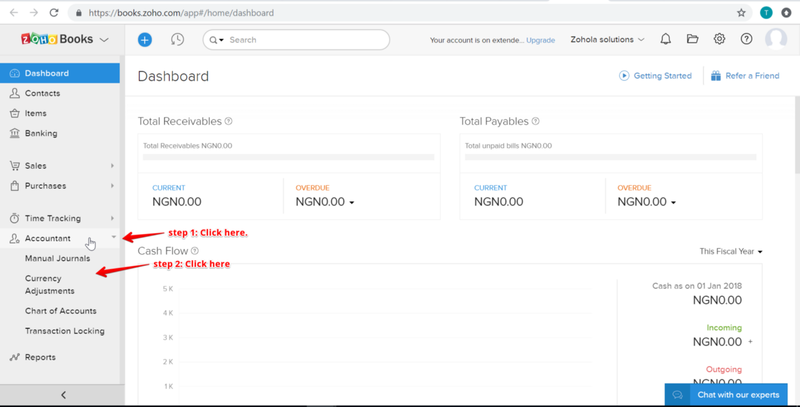 On Zoho dashboard, navigate thus: Accountant > Currency Adjustment. 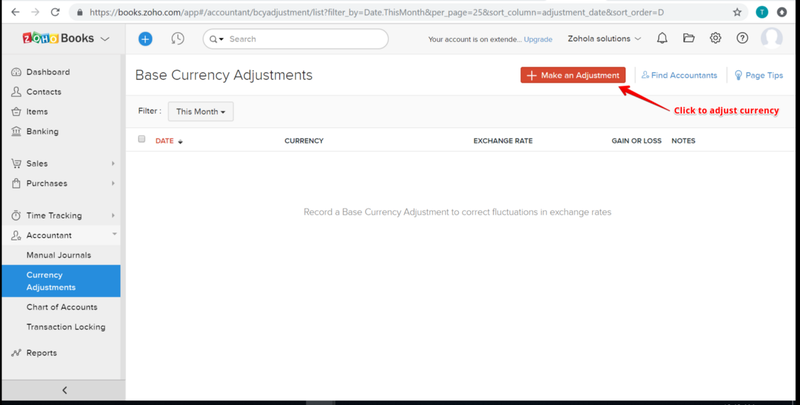 On the next page, click“Make an adjustment” to adjust currency. Please note that a US account currency cannot be changed to NGN. It can only be changed to the above-listed currencies asides USD.